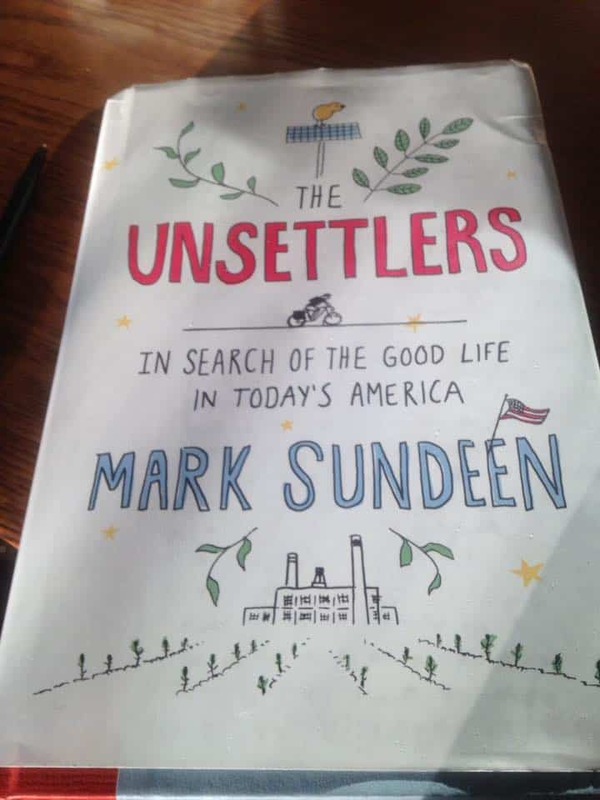 Mark Sundeen’s The Unsettlers: In Search of the Good Life in Today’s America ranks among the most interesting new books I read in 2017. Here are some highlights from my review of it, which appeared in Communal Societies a few months ago. Perhaps these lines will intrigue you, if you’re looking for a few more titles for your winter reading list. In this piece of “immersive journalism,” Sundeen explores three contemporary couples whose searches for “the good life” took them down paths to lifestyles different from those of most Americans. His intensive interview time with the Possibility Alliance in La Plata, Missouri, Brother Nature Produce in urban Detroit and Lifeline Farms in Montana’s Bitterroot Valley, contribute to a story that is both personal and engaging. Sundeen’s past experiences–before journalistic authorship–also pushed him toward this topic. With years of outdoor work experience, plus lots of travel, he, too, had been often in search of something other than a career “tethered to a screen” and enslaved by capitalism. With this personal background revealed. Sundeen places himself, his humor, and his occasional skepticism into the immersive experiences. These occur primarily in the three featured sites of the diverse American landscape. But other locales, such as Brooklyn and rural France, emerge as well. 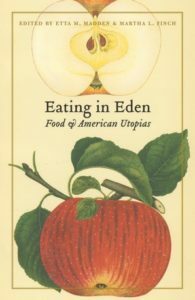 And he sinks the stories of Sarah, Ethan, Olivia, Greg, Luci and Steve into the larger context of America’s many utopian and communal experiments. Their personal histories with alternative agricultural practices, in particular, come to life within this larger context. Sundeen discusses movements as diverse as the celibate, religious Shakers of the nineteenth-century and Stephen Gaskin’s the Farm, a latter-twentieth century enclave that continues today as an educational site. This larger context of communal, utopian practices is what drew me to his book, of course. (It also explains why my review appeared in the latest issue of the Communal Studies Association journal.) Sundeen’s interviews should interest others, however. Those skeptical about or interested in urban agricultural practices should be enlightened by Brother Nature Produce and its history in Detroit. They should find fascinating the longstanding but changing organic practices in Montana’s Bitterroot Valley. And the Possibility Alliance in northeastern Missouri draws interest because of its attempts to live off the grid. Sundeen and his subjects have certain heroes whose names continually resurface. Chief among them: Wendell Berry (his The Unsettling of America influenced this book’s title) and Mahatma Ghandi. Their beliefs capture a spirituality, self-discipline, and social activism that Sundeen believes many liberals don’t quite understand. Many liberals talk a good talk, but when it comes to walking the walk, well, they’d rather drive. By contrast, his subjects make sacrifices in order to share their visions of how the world might become a better place. Stylistically, The Unsettlers reverberates with the tone of J. C. Hallman’s In Utopia (St. Martin’s). Also like Hallman’s book, Sundeen’s study provides a broad historical context for this topic of living intentionally. It, too, is worth a read.